Come to meet us on our booth! For the second year, our agronomists in Bulgaria will attend the International Field Days in Plovdiv. Contact us. 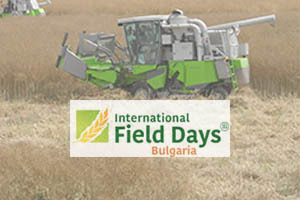 The field days will take place in a demonstration field of the Agricultural University of Plovdiv, 150 km southeast of the capital Sofia, in the center of the most important Bulgarian growing area for cereals, oilseeds, fruits and vegetables.